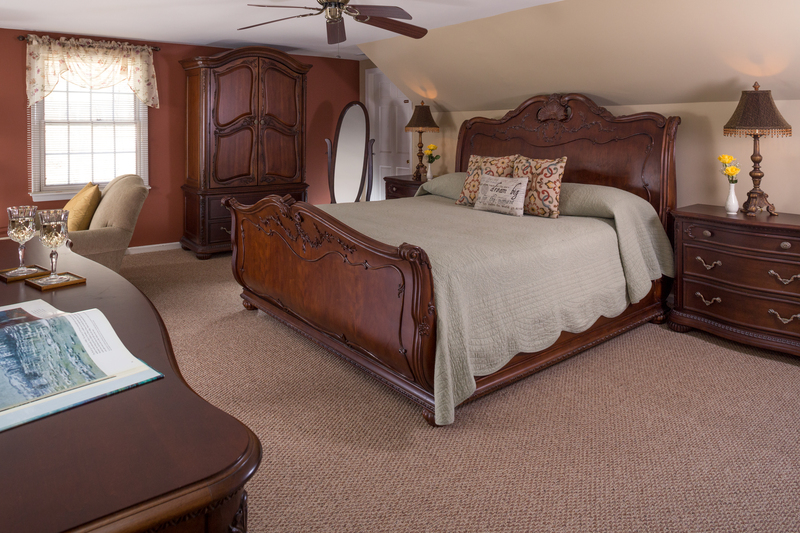 The Wooden Duck Bed & Breakfast is an oasis of country pleasures in Newton, New Jersey. 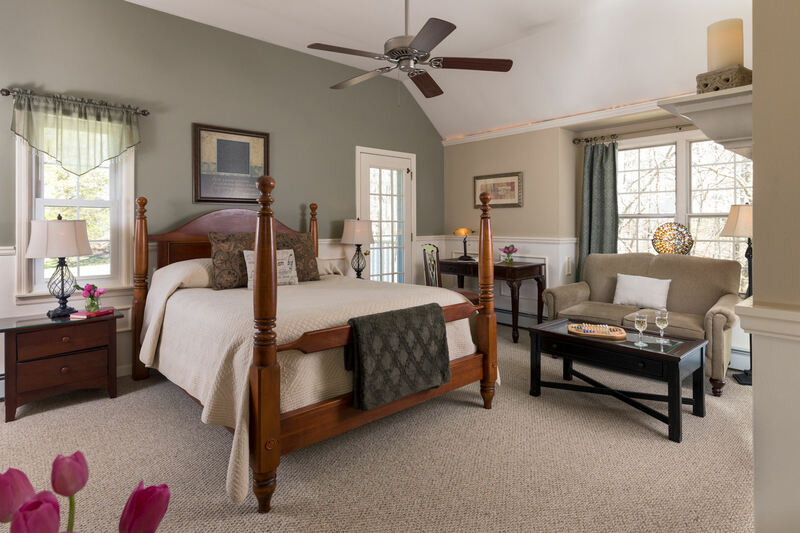 From the moment guests turn onto the quiet lane and winding drive leading to the inn, they are transported into a world of natural beauty and gracious hospitality. Tucked away on ten wooded acres amid the rolling hills of rural Sussex County, The Wooden Duck Bed & Breakfast is your great escape in Northern NJ. From the moment you turn onto the quiet lane leading to the Inn, you are transported into a world of natural beauty where wildlife abounds. 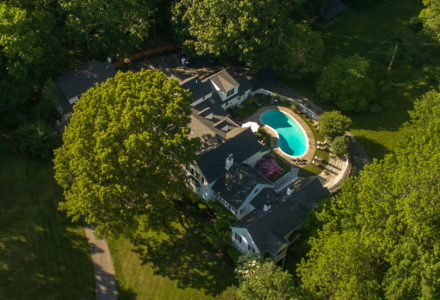 Guests escape their busy lives in New York, Philadelphia, Washington, D.C. or as far away as Australia, to find gracious hospitality and relaxation in private, comfortable surroundings. The Estate House contains 7 spacious rooms, each with a private bath, sitting areas, business workspaces, free wi-fi, flat screen satellite TVs, DVD players and fireplaces. Deluxe and Semi-Deluxe rooms include 2 person soaking tubs. Our Living Room features a gas fireplace, bay window and big cozy couches to relax and unplug. The Den has comfy leather furniture with a big screen TV, perfect to watch a game or movie. There is a snack station open 24 hours with coffee, tea, soft drinks and home baked goodies. DVDs and Games are also available for free use. 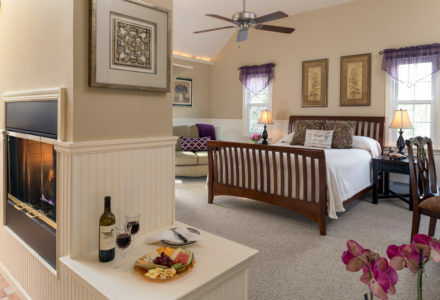 The Carriage House contains 3 more comfortable rooms, including a handicap appointed room, all with private bathrooms, flat screen satellite TVs, and free Wi-Fi. Enjoy gorgeous views any time of year, filled with wooded acres, rolling hills and wildlife throughout. Watch families of deer feeding at dusk while on your evening stroll or catch the dance of the hummingbirds as you sip your coffee from the patio or dining room. Start your morning by indulging in the scrumptious 3 course breakfast served in the dining room overlooking the in-ground pool and grounds. 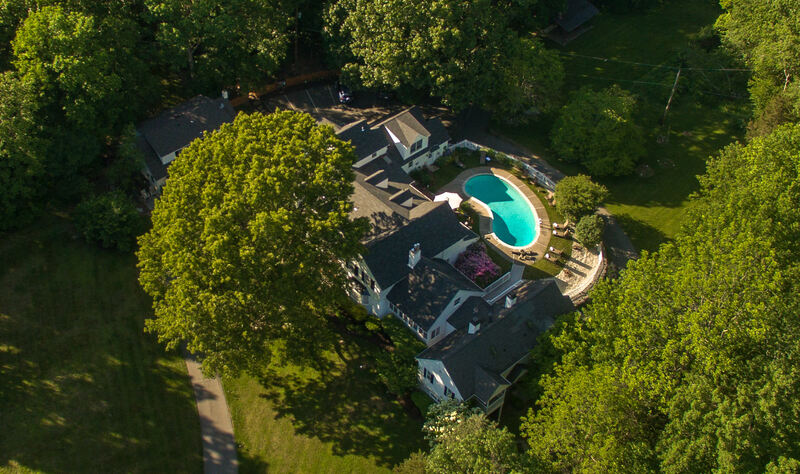 Relax and unwind by the pool and gardens, take a swim when the weather is right, or enjoy your time by the fireplaces whatever the season.